Bio-Rad Laboratories, Inc. have released the first set in a new product line of PrecisonAbTM Antibodies, rigorously validated for use in western blotting. 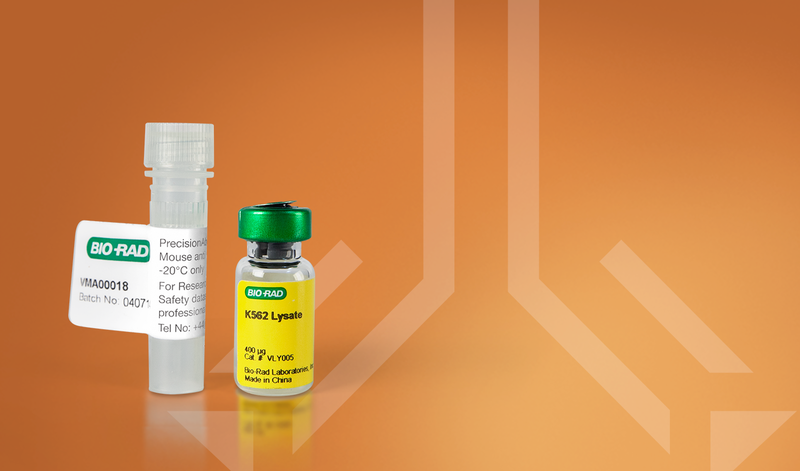 These antibodies offer superior sensitivity, specificity, and reliability. They also come with the industry’s most complete validation data so researchers can accurately assess the antibodies’ performance before buying, and a positive control lysate so researchers can optimize the antibodies in their own labs. These are the first of thousands of PrecisionsAb Antibodies Bio-Rad plans to release in order to help researchers improve their western blotting results. Scientists have struggled with antibody unreliability for decades because manufacturing standards and quality control vary widely among vendors, targets, and even among antibody lots. Bio-Rad’s PrecisionAb Antibodies are screened using whole cell lysates from up to 12 different biologically relevant cell lines — by far the industry’s most rigorous validation process. Only antibodies that detect endogenous protein levels with high sensitivity and specificity are included in the PrecisionAb product line. Each new lot is screened before release to ensure lot-to-lot reproducibility. A worldwide trial of PrecisionAb Antibodies, performed in a range of laboratory environments, confirmed the high specificity and sensitivity of the PrecisionAb Antibodies. The beta testers also valued the greater depth of information PrecisionAb Antibodies provide. Bio-Rad shows the entire western blot image used for validation, giving the customer a complete view of antibody quality.